Ever wonder why some people’s hands shake involuntarily? Maybe that’s you—but you’re not alone. Every day, as many as 10 million Americans suffer from something called essential tremor (or chronic hand tremors), says the U.S. National Library of Medicine. That number might vary widely because people with mild cases simply learn to live with it. Dambach is a farmer who had put up with his trembling hands for about a decade. But when the condition had started impeding his everyday life, he knew he needed to do something about it, reports NPR. He was having trouble eating and writing his own signature, a deal-breaker for a farmer with many good working years still ahead. Like many other patients, Dambach had simply lived with his condition until it became debilitating. Then in 2016, the U.S. Food and Drug Administration approved a breakthrough treatment for patients not responding to normal treatment methods. Up until then, patients had to take beta blockers or anticonvulsant drugs to control the tremors. But if those didn’t work, the only other options included surgery. For instance, patients could choose to implant a deep brain stimulation device, says an FDA press release. The device would then aim to reduce tremors by damaging the thalamus, the part of the brain controlling involuntary movement. While still invasive, the FDA’s new treatment comes as a much more palatable alternative. It uses magnetic resonance imaging (MRI) to target an ultrasound into the brain. Essentially, the treatment kills specific brain cells that are causing the tremors, a procedure that sounds more dangerous than it is. During trials, patients showcased huge improvements after the procedure, decreasing tremors as much as 50 percent. For Alan Dambach, the new ultrasound technology turned his life around. After undergoing treatment, Dambach’s hand tremors are nearly resolved, states NPR. He can even write his signature again and perform everyday activities, including working on his farm. When diagnosing essential tremor, many people confuse this condition with the degenerative Parkinson’s disease. The two conditions do have some similarities. 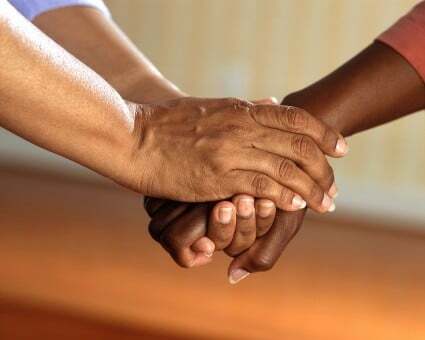 For instance, hand tremors are common in Parkinson’s, the disease often starting with a noticeable shake in one hand. But the disease is also characterized by impaired movement and lack of muscle coordination overall. As Parkinson’s disease progresses, patients may have trouble balancing, walking, and even controlling facial expression. Early signs include arms that don’t swing when walking, an expressionless face and the patient dragging their feet. Essential tremor, on the other hand, is not as dangerous or life-threatening. Although the beginning stages can look similar to Parkinson’s, the tremors mainly affect the hands, head and voice, according to the Mayo Clinic. According to the U.S. National Library of Medicine, essential tremor usually occurs as a symptom by itself. Hand tremors may be most noticeable during walking, eating, drinking, writing or when hands are held parallel to the ground. Head tremors may involve a bobbing “yes-yes” or “no-no” motion, but the condition is considered harmless. Treating severe symptoms is the main focus with essential tremor. In addition, the FDA press release mentions that patients with bleeding disorders, unstable heart conditions, advanced kidney disease or drug abuse may not be eligible.